Snowflakes are falling, it’s cold out there, we’re trying to stay bundled up inside with a mug of warm hot chocolate. It seems that nothing is growing in this icy tundra, are there any fruits in season? There’s good news! 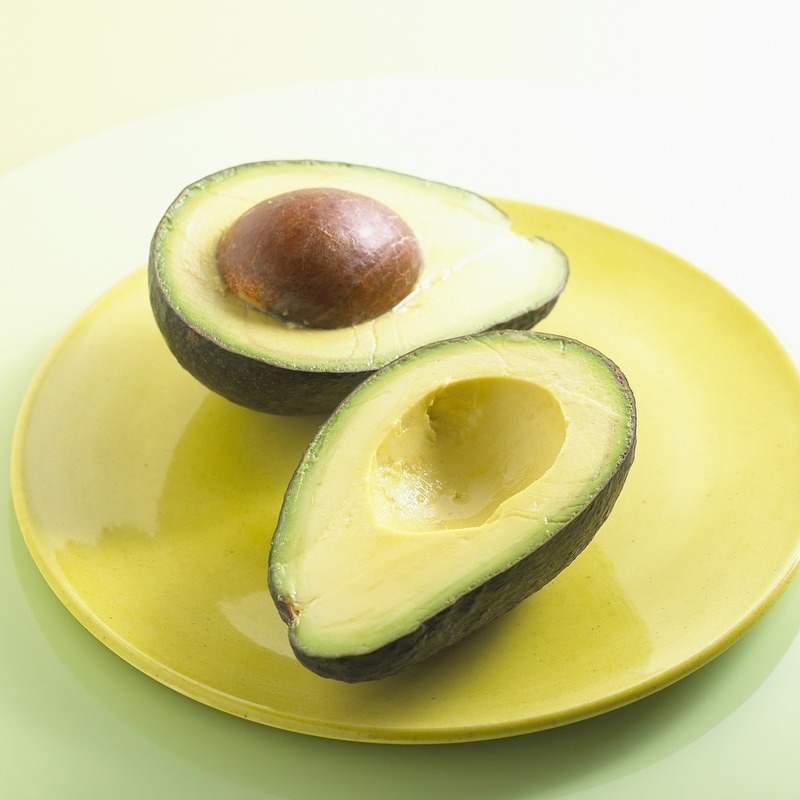 There are some fruits that are in season in the winter months. Citrus fruits, which are loaded with vitamin C and flavonoids, are grown in warm climates and are ripe for picking in the winter months between October and March. Stock up on oranges, clementines, tangerines, mandarins, kumquats, lemons and grapefruit. 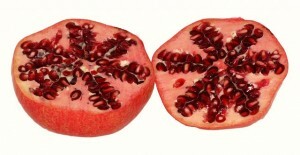 Pomegranates are another winter fruit option chalked full of nutrition benefits. The ruby colored fruit hits its peak of ripeness from October through January. Other fruits that will still be available fresh in the winter months include apples, bananas, grapes, cranberries, passion fruit, kiwi and pears. Remember that you can always enjoy fruit all year-round. 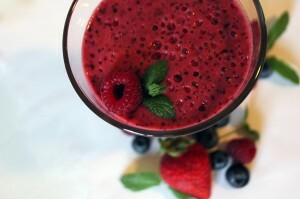 Fresh fruit, frozen fruit, canned, dried and 100% juice all count in the quest for healthy fruit consumption. The key to creating juicy, mouthwatering chocolate dipped fruit is in the fruit and chocolate selection. Start with premium dark or milk chocolate chips or chocolate bar and handpicked ripe, scar-free, fresh fruit. The tastiest chocolate dipped fruit choices are strawberries, cherries, and pineapples. 1) Fruit preparation will depend on the fruit you select. Slice pineapple pieces in half-inch pieces. Clean strawberries and cherries and place in the freezer for ten minutes. 2) While the fruit is chilling, cover a platter in aluminum foil. 3) Next, chop the first 4 ounces of the chocolate bar and place in a microwaveable bowl and cover. Heat the chocolate at 40 second intervals to mix and reheat until it is completely smooth. 4) Remove four pieces of fruit from the freezer and dip each piece in chocolate, transferring it to the platter and then finally returning the chocolate dipped fruit to the freezer to chill for 12 to 15 minutes. If the bowl of chocolate thickens, return it to the microwave for a few seconds. 5) Repeat, using batches of 4 ounces of chocolate until all the fruit is covered and placed in the freezer. 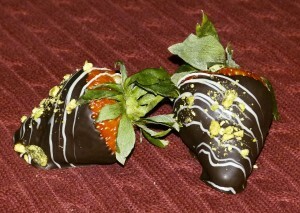 6) After 15 minutes, move the chocolate dipped fruit to the refrigerator. To prevent the chocolate from melting and becoming gooey, remove from the refrigerator just 30 minutes before serving. Ghirardelli Chocolate is one of the recommended brands for this chocolate hand dipped recipe. To prepare healthy chocolate dipped fruit with fewer calories and the highest antioxidants, use dark chocolate with a minimum of 53 percent cacao. A party platter sized fresh fruit bouquet makes a spectacular centerpiece for the Thanksgiving Day Dinner, at least until it’s time to carve the turkey. Before the big meal, allow guests to snack on the fresh fruit platter. It shouldn’t ruin anyone’s appetite. The remaining pieces of the fruit are ripe for an ice cream parfait. Cut the remaining pieces of fresh fruit bouquet into smaller cubes, discarding any brown pieces. In a parfait glass, spoon in a heaping tablespoon of fruit. Next, top the fruit with a layer of ice cream, alternating layers of fruit and ice cream until the parfait glass is full. Finally add whipped cream on top. The remnants of the fruit bouquet are juicy and healthy in a smoothie. The same idea is applicable to creating frozen snacks for children. Instead of using a glass, divvy up the contents of the soon to be frozen, fresh fruit bouquet into several plastic cups. Then freeze for four hours and – ENJOY!